Harry A. Bower was an active performer, teacher, author, and inventor in Boston during the early 1900s and into the 1920s. Bower's designs for new percussion instruments, while innovative, were often eccentric bordering on impractical. 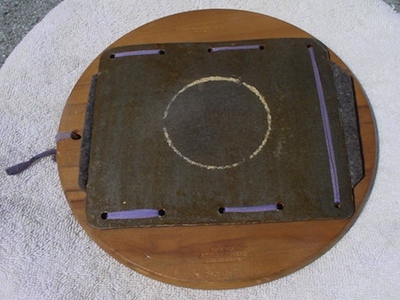 But this early practice pad, referred to by Bower as a "Practice Drum", has a certain simplicity about it. Bower, always the entrepreneur, apparently went so far as to patent this design and license it to Art C. Higham of Los Angeles, California for production. Bower relocated from Boston to Southern California sometime in the early to mid 1920s. We know that much based just on the patents credited to Bower and the addresses he was using at the time for which the patents were applied. 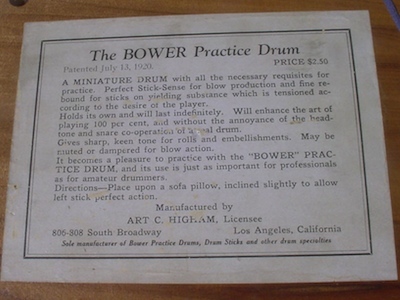 Once in California, Bower must have established a relationship with Hingham who, according to the paper label affixed to the underside of this example, was the "Sole Manufacturer of Bower Practice Drums, Drum Sticks and other drum specialties." 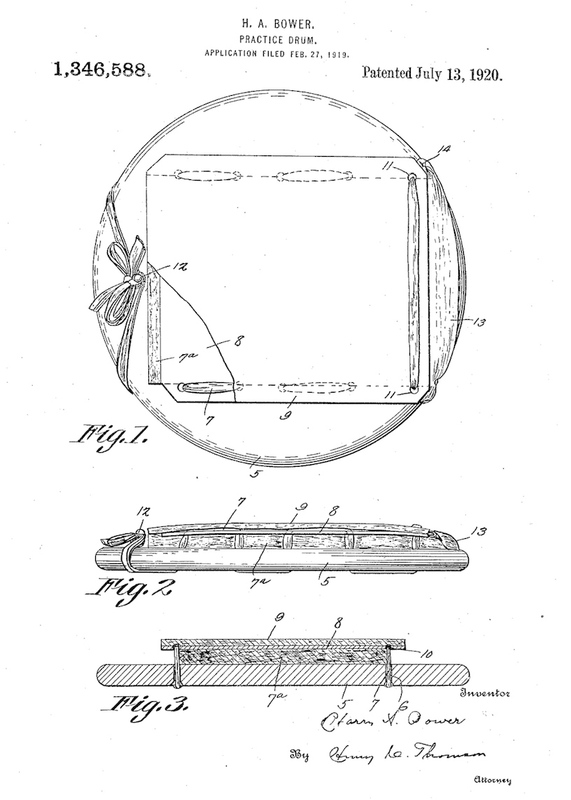 The patent for Bower's "Practice Drum" was applied for on February 27th, 1919 and was granted on July 13th, 1920 which would be exactly 92 years ago today.